I stayed in Anguilla for a month in 2000 while taking a class through my college, Hartwick College, in New York. We worked at Courtney Devonish's art studio (he is sooooo nice!). We studied a lot of the Anguillian architecture and scenery, as it was a drawing, sculpting and photography class. We also got to go to an opening party at Courtney's "new" (back then) art studio "Devonish art gallery" located in the Valley. He is the best, an amazing artist! Your website is wonderful - I love all the personal opinions and I am impressed at how good the site is, and you were only 14 when you started it!!! Good job! Can I make a suggestion? 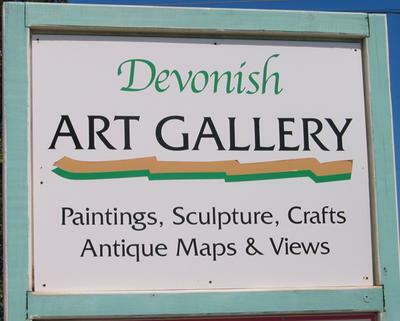 Next time you are in Anguilla, do a piece on Devonish Art Gallery. It really is a special place for visitors to buy something uniquely Anguillian. Nori's Reply: Many thanks for the tip, Liz! We recently paid Mr. Devonish a visit and were absolutely taken by him, his lovely wife Carrolle and their unique Caribbean creations. I can't agree with you more on the uniqueness of his gallery and have now covered Devonish Art Gallery here. Many thanks again, Liz! Join in and write your own page! It's easy to do. How? Simply click here to return to Shopping Favorites, Tips, Stories.